A drawing of a young woman with a flower hat, and one (and quite possibly two) earring. With her large nose, it's hard to say if we see her from the side or from another angle, a little bit like some paintings of Picasso. 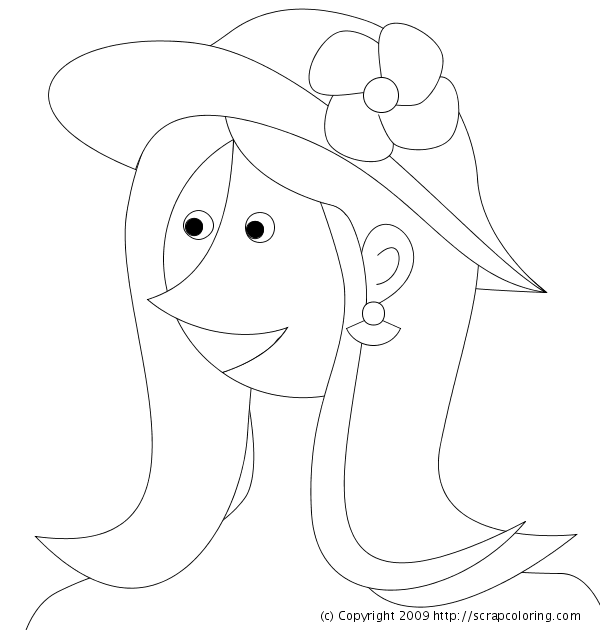 If you do not see the online coloring page Woman with a Flower Hat in black and white above, you need to use another web browser: see the page Supported Browsers.